There are several things I love about this. 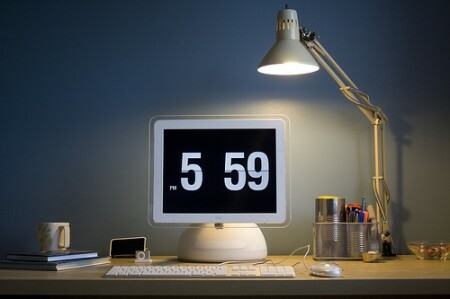 The old “Luxo” iMac. The tin cans for office supply holders. The 10 dollar task lamp. But something about the composition and lighting are so full of win that I am forced to reblog. Indeed. I’d get another G4 just to do this. Or do the eMate version. Posted by davelawrence8 at 7:05 am on April 29th, 2010. 4 comments... » Categories: macs. 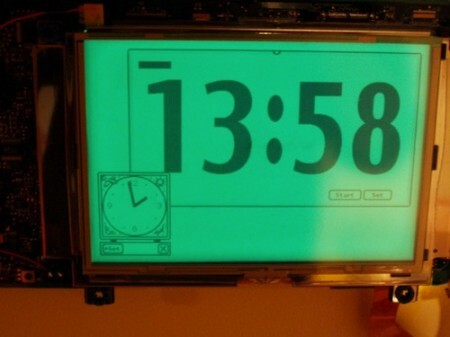 Tags: clock, imac, imac g4, mod. Subscribe via RSS.